These wide range of mirrors are perfect for investigating real and virtual images. 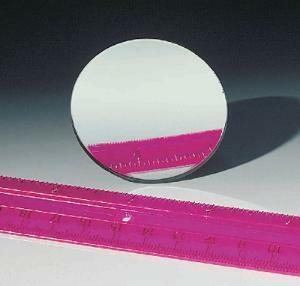 The circular mirrors are available in diameters of 38 mm, 50 mm, and 75 mm. They're back-surface silvered, made of polished glass, and painted for durability.